Treasurer and Secretary Positions Available. We’re looking for someone who is good in finances to step up and become treasurer as well as a person who is good at note-taking for the secretary’s position. Please click this link to fill out the application below with your information and we’ll get back to you if we believe you’re a good match for the Society. 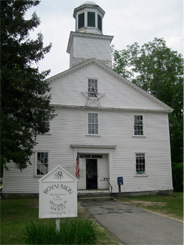 This entry was posted in News and tagged positions available, royalston historical society, secretary, treasurer. Bookmark the permalink.